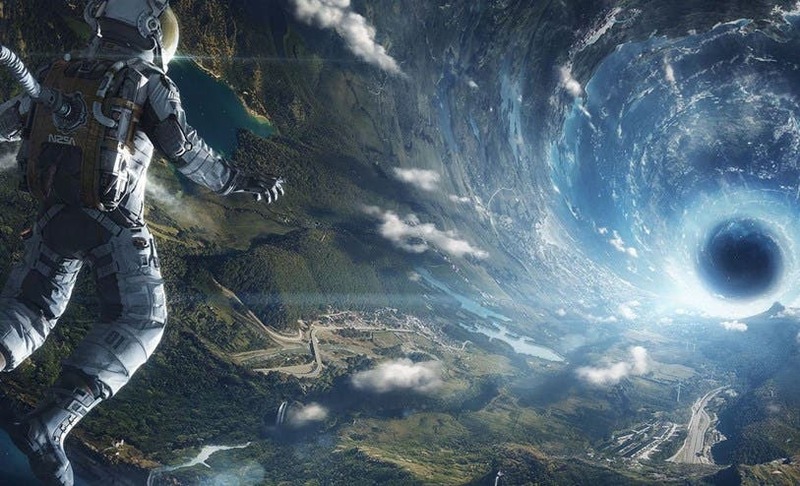 The team behind Interstellar’s awesome special effects meant business when they set out to emulate space, celestial objects and black holes facts as scientifically accurate as possible. 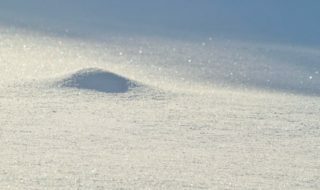 In a paper published in the journal Classical and Quantum Gravity, the special effects crew describe at length the innovative computer code they used to generate stunning imagery, but also make new scientific discoveries. Whenever a SciFi movie spews new scientific advancement, well, you know it’s a good one! Interstellar’s special effects was handled by the London-based visual effects company Double Negative. The people in charge there, per director Christopher Nolan’s request, wanted to work as realistically as possible, so they enlisted world renowned theoretical physicist Kip Thorne, a former professor at Caltech, to guide them towards the most accurate simulation ever of what a black hole would look like. So, Thorne started generating equations that would guide their effects software the way physics governs the real world. They all agreed to first start with wormholes. Hundreds of pages and memos were sent back and forth, and in the end all the effort paid off. They had made a stunning crystal ball that reflects back the Universe unto itself. Black Holes were a lot more difficult. 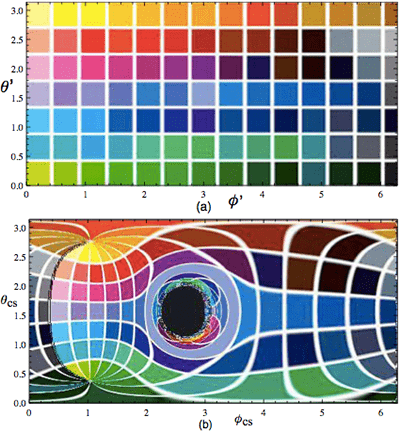 Light rays that pass close to the black hole get caught and cannot escape. Therefore, the region around the black hole is a dark disk. Light rays that pass a little further away don’t get caught but do get bent by the black hole’s gravity. This makes the starfield appear distorted, as in a funhouse mirror. It also produces multiple images. You would see two duplicate images of the same star on opposite sides of the black hole, because light rays passing the black hole on either side get bent toward you. In fact, there are infinitely many images of each star, corresponding to light rays that circle the black hole several times before coming toward you. Filmmakers often use a technique called ray tracing to render light and reflections in images. “But ray-tracing software makes the generally reasonable assumption that light is traveling along straight paths,” says Eugénie von Tunzelmann, a CG supervisor at Double Negative. This was a whole other kind of physics. “We had to write a completely new renderer,” she says. Einstein’s theory of general relativity predicts that every object bends light rays through its gravity. This is called gravitational lensing. For our Sun this effect is very weak, but it has been measured. For more massive and distant objects in the Universe much stronger lensing has been seen. However, it has not yet been possible to observe this effect near a black hole, or to directly photograph the dark disk surrounding a black hole. O’Neill cylinder rendering, one of my favorite shots from the movie. It’s inspired by the ship in Arthur C. Clarke’s Rendezvous with Rama, a book I highly recommend. For their movie, the Double Negative team took an alternate path from conventional special effects for space movies. Instead of tracing individual light ray paths, they simulated bundles of light which proved to be great for mimicking gravitational lensing. In fact, their code is so accurate that astrophysicists are thinking of using it to model their cosmic oddities. Eventually, Double Negative hit the jackpot and rendered one what’s already one of the most iconic images in science fiction, rivaling Space Odyssey’s Monolith: the Gargantua black hole. The computer code generated the black hole, completed with its glowing accretion disk with unparalleled clarity. Here’s an interesting tidbit from the paper. It seems like Gargantua, although stunning and quite accurate, isn’t actually the most faithful rendition of a black hole they could make. 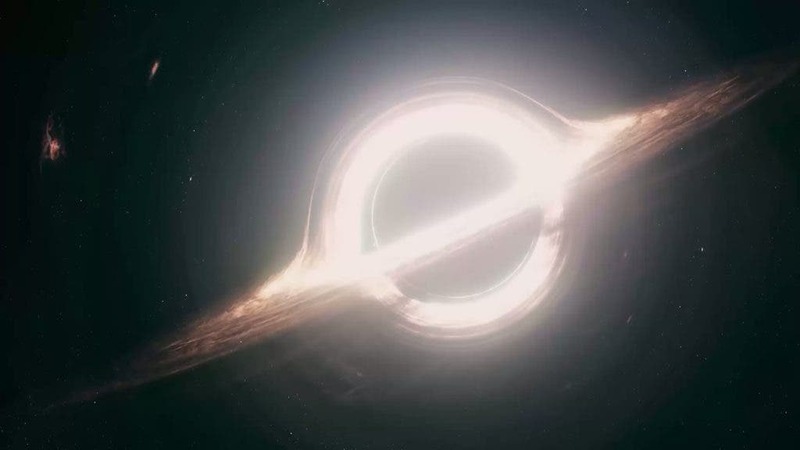 The final version of Gargantua features additional code that takes into account the vast rotational forces that would be created as the black hole spins. Gargantua now looks considerably different, with more matter spewed across one side, while an observer would see different colour because of the Doppler effect.